You must locate and unplug the connector from the sensor. at the fuel rail. The latch must be depressed to release the connector from the sensor. 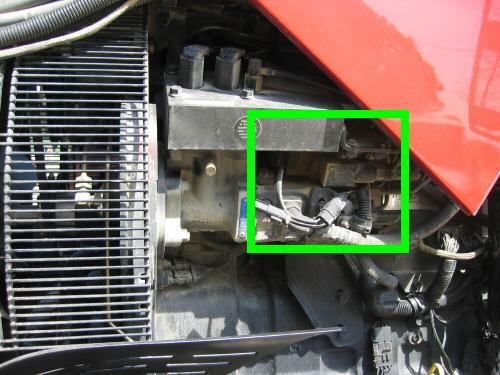 Do NOT pull on the wires, and do NOT break the locking mechanism of this connector / sensor. Your HDT-CR4 Module is pre-set to provide an additional 30% power increase from your stock H.P. setting. These units are adjustable between 15-45% power increase. You can simply connect the HDT-CR4 module into the Harness & GO! Be careful NOT break the locking mechanism of this connector! Connect the wiring harness supplied with the Power Module to both open connectors from the Injection pump Harness. The HDT-CAPS5 Module is able to add an additional 15-45% more adjustable power! 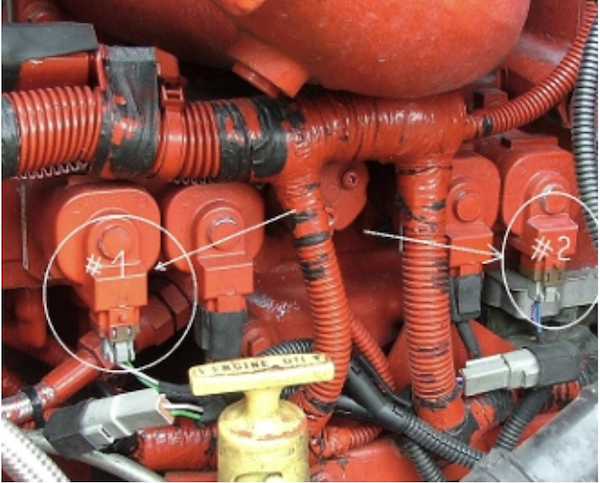 Installing HDT-ISX/QSX is very simple, first locate Injector driver module on the front of the tractor on the left hand side if you are siting in the cab. Connect the HDT-ISX/QSX wiring harness in-between the factory wiring. Make sure both connectors ‘lock-in’, as you should hear a ‘click’ when they connect. Your HDT-ISX/QSX Module is pre-set to provide an additional 30% power increase from your stock H.P. setting. These units are adjustable between 15-45% power increase. You can simply connect the HDT-ISX/QSX module into the Harness & GO!